It’s understandably difficult for customers to find the ideal family SUV. Sure, there are dozens and dozens of available options, but few nameplates manage to deliver everything that a customer would be looking for. However, there is one SUV that will surely check every box on your list. The 2019 Chevy Trax is one of the most versatile and unique SUVs in the entire industry, and that’s a big reason why the vehicle is such a perfect option for those seeking a new family ride. What are you looking for in your new SUV? Fuel efficiency? Incredibly, the 2019 Chevy Trax more than delivers on this particular spec. What about interior space? Predictably, the 2019 Chevy Trax provides more than enough space to fit all of your cargo. Are you seeking a comfortable and technology-filled interior? Yup, the 2019 Chevy Trax offers that, too. That’s truly nothing that the SUV doesn’t provide to customers, making it an ideal target for any type of car buyer. The 2019 Chevy Trax is one of the most logical SUV targets in the entire industry, and for a very good reason. Explore why you should consider this nameplate for your next family ride. If you prioritize fuel efficiency, we assume you probably crossed every logical SUV target off of your list. After all, this segment isn’t necessarily known for its fuel economy, and owners have become used to breaking the bank when they’re required to refuel their ride. However, you might want to reconsider this sentiment when you take a look at the engine (and the accompanying specs) that are included in the 2019 Chevy Trax. The accompanying 1.4-liter turbocharged ECOTEC engine relies on many fuel-saving technologies to deliver an incredible 31-miles-per-gallon highway fuel efficiency (on the FWD variation of the nameplate). These are numbers that are rarely seen in this particular segment, and it’s a big reason why the Trax is such a unique offering. If you’re hoping to save a couple of extra bucks at the gas station, then this is definitely a logical target. Despite these incredible numbers, the engine still manages to be rather powerful. Ultimately, drivers can anticipate 138 horsepower and 148 pound-feet of torque, allowing owners to easily keep up with their fellow drivers on the highway. Sure, these numbers may leave a bit to be desired (especially when compared to other larger SUVs), but you’ll certainly take them when you consider the efficiency specs. It’s rare that you see an SUV’s engine praised for its efficiency instead of its power. Well, this is just another reason why the 2019 Chevy Trax isn’t a conventional option (and that’s undoubtedly a good thing). You’re going to be spending the majority of your time inside the SUV, so it makes sense that you’ll be seeking some technological amenities as you’re shopping for your new ride. 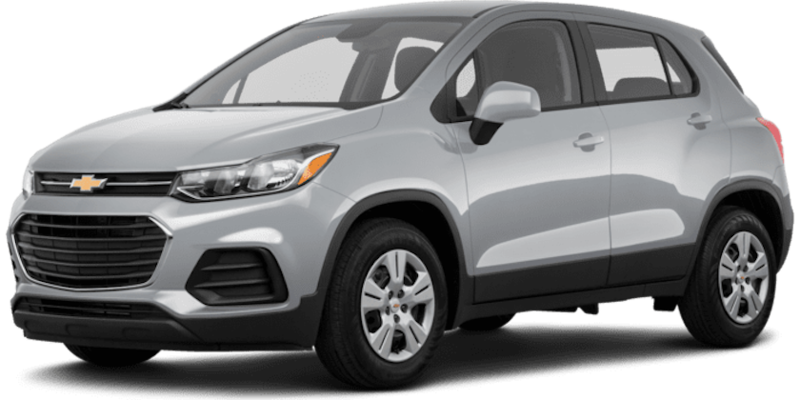 Fortunately, the 2019 Chevy Trax more than delivers, as the accompanying features will surely improve any driving experience. It starts with the brand’s Infotainment System, which provides quick and easy access to an assortment of notable applications via the built-in touchscreen unit. Meanwhile, thanks to the Apple CarPlay and Android Auto compatibility, drivers will never have any issues connecting their smartphone to the system. This way, drivers can use many of their phone’s basic functions (including phone calls and text messages) without completely compromising safety. The vehicle can also be equipped with a built-in 4G LTE Wi-Fi system. This inclusion provides a strong wireless internet connection for up to seven devices. Thanks to this specific feature, if you or your passengers are ever required to complete work while you’re on the road, you won’t have to pull off the highway and find an accommodating cafe or restaurant. Instead, you can complete that work from the comfort of your SUV. Many drivers are more than willing to jump out of their SUV once they’ve arrived at their destination. Thanks to the variety of technological amenities that are included in the 2019 Chevy Trax, you might find yourself taking an extra minute or two to appreciate all of the offerings. Of course, the interior provides a whole lot more than technological features. Rather, customers can take advantage of all the other amenities that are included inside of the 2019 Chevy Trax. Thanks to these inclusions, customers will be hard pressed to find another interior that’s as focused on the driver. Specifically, the vehicle is incredibly roomy, making it more than easy to store your cargo inside of the SUV. The 2019 Chevy Trax delivers 18.70-cubic-feet of space behind the second row, but this can be increased to an eye-popping 48.40-cubic-feet of space when those seats are hidden. Therefore, whether you’re preparing for a road trip or a standard trip to your child’s practice, you’ll have more than enough room to fit all of your luggage and equipment. There are even more amenities! The dual-cockpit cabin design makes it easy for drivers to access whatever feature they want to take advantage of, including the previously-mentioned seven-inch diagonal touchscreen. The refined “premium accent stitching” adds a bit of elegance to your interior, and customers can further optimize the aesthetics if they opt for any of the brand’s special variations of the Trax (including the Midnight Edition and the Redline Edition). You’ll never have to worry about you or your passengers’ well-being when you’re behind the wheel of the 2019 Chevy Trax. That’s because the vehicle is fully equipped with preventative safety features that will help drivers avoid those accidents altogether. For instance, inclusions like the Forward Collision Alert will come in handy during any driving situation. If the vehicle detects that a collision is imminent via the built-in camera technology, they’ll alert the driver with audible and visual cues. Meanwhile, the Side Blind Zone Alert and Lane Departure Warning will prove to be especially useful on the highway, as they’ll provide the driver with an extra set of eyes. All of these features will ultimately play a huge role in helping drivers avoid devastating and dangerous collisions. There are even inclusions that can help cut down on fender benders. The Rear Park Assist will guide drivers into a tight parking spot, assuring that they don’t accidentally back into the vehicles on either side of them. The Rear Cross Traffic Alert is equally helpful, as the technology will alert the driver if another vehicle is about to cross their path. Of course, the vehicle is also equipped with an extensive air bag system, and the sturdy foundation of the Trax will keep everyone safe. All of these inclusions are a big reason why the nameplate is one of the most trustworthy targets in the entire class. By now, there should be zero doubt in your mind that the 2019 Chevy Trax is the perfect target for you and your family. Now, you’ll have to begin the buying experience. Fortunately, you’ll have nothing to worry about if you opt for your next SUV from McCluskey Chevy. The dealership is predictably stocked with a number of options for those seeking a new vehicle. With more than 1,000 new vehicles sitting on their lot, you’ll never find that you’re struggling with options. Plus, if you’re shopping on a budget, you can appreciate the hundreds of used vehicles that they’re also housing. While the 2019 Chevy Trax is a perfect target, McCluskey Chevrolet allows you to keep your options open. Meanwhile, the assortment of services will come in handy before and after you’ve completed your purchase. The finance department works with customers to determine a payment plan that makes sense for both sides. Plus, if you need any help financing your vehicle, McCluskey Chevrolet is there to help, regardless of your current credit situation. Need help with repairs or maintenance? Then refer to McCluskey Chevy’s service department. The expert technicians can get your new 2019 Chevy Trax back on the road in no time, and you won’t have to pay an arm and a leg to get the SUV all fixed up. Instead of relying on an untrustworthy mechanic, why wouldn’t you just turn to the experts? Finally, McCluskey wants their customers to have an optimal buying experience. Instead of stressing out over when you’ll be able to find the necessary time to visit the facility, the flexible hours means you’ll never have to shift around your schedule in order to make the trip. The dealership is open seven days a week, meaning you can visit on the weekend or after work. The same goes for the service department, which even opens at 7:30am on Monday through Friday! Located on Kings Automall Drive in Cincinnati, Ohio, there’s truly no better place to purchase that 2019 Chevy Trax than McCluskey Chevrolet. So what are you waiting for? Head out to the dealership and begin your shopping experience! We promise you won’t regret it!